Wednesday, August 22nd, Rhino Shrine takes The Turf Club! 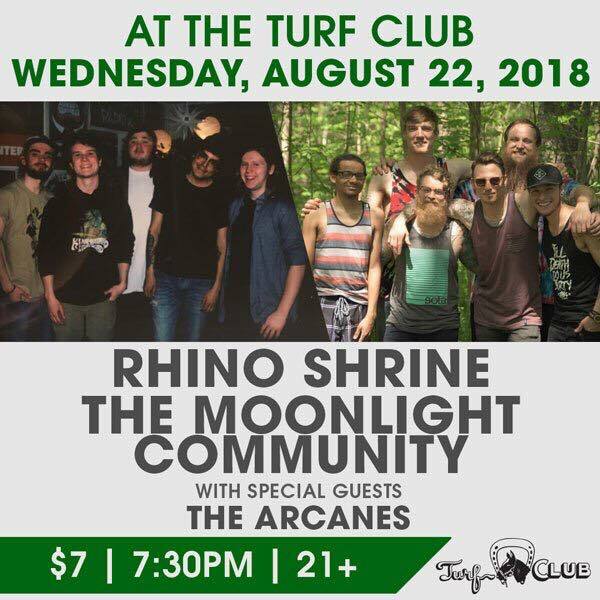 Come be a part of this monumental night as Rhino Shrine takes the Turf Club by storm, along with The Moonlight Community, and The Arcanes! It's going to be a great night of music that you don't want to miss!